The MSRA meeting that had been scheduled for February 9, 2019 has been rescheduled for Saturday, April 27. Meet at the Spirit of Columbia Gardens Carousel, Stodden Park, Butte, Montana at 10:30a.m. Agenda: 11:00 - 12:00 - Regular Meeting to include nominations for the "2018 Street Rodder of the Year"
6:30 - Have a safe drive home or if staying overnight, enjoy the evening. Note: Please RSVP by 4/24/19 to Marilyn Patrick @ 406-494-5243 or 406-496-3711 so that the dinner can be ordered. 2019 Car Shows and Events Calendar thanks to CMYRYD.com. 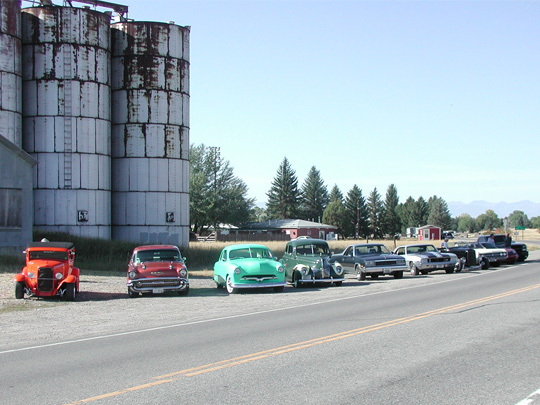 MSRA members and other rodders from Bozeman and southwest MT have been enjoying several Sunday Morning Breakfast Cruises the last few summers, and are planning some for this summer as well. I'm sure that there are other activities and cruise nights around the state, so please send in photos and news about ones in your part of the state so that we can put them on the website.